The official tally is in. 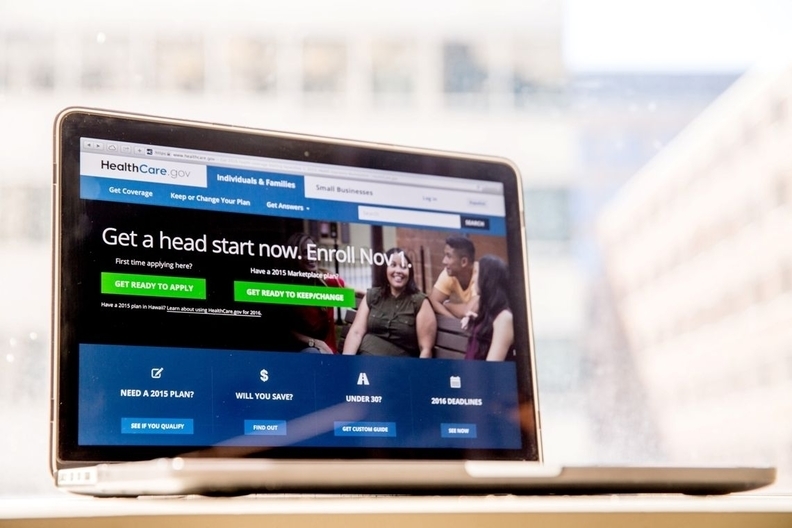 Nearly 11.8 million people signed up or were automatically enrolled in coverage through the Affordable Care Act's health insurance exchanges for 2018, the CMS reported Tuesday. That's despite actions by the Trump administration that many saw as attempts to undermine the ACA exchanges. This year's total sign-ups, which account for enrollment in the 39 federal and 12 state-based exchanges, come up short of the 12.2 million who enrolled in an exchange plan for 2017. Enrollment dipped 3.3% from 2017. An Associated Press analysis from February also concluded that 11.8 million people enrolled in an exchange plan during the fifth open enrollment period, which lasted from Nov. 1 to Dec. 15 in most states. On Twitter, CMS Administrator Seema Verma praised the agency for what she called "the most cost-effective and successful open enrollment to date." But she also tweeted that Americans continue to face "skyrocketing" insurance premiums and fewer choices. According to the CMS, of the total sign-ups, 8.7 million consumers enrolled through HealthCare.gov, while the rest enrolled through state-based exchanges. The CMS said 27% of enrollees were new customers. The rest were returning to enroll in coverage. For those HealthCare.gov consumers who received premium tax credits, which are available for people who make up to 400% of the federal poverty level, the average enrollee is paying $89 per month for 2018 coverage, compared with $106 per month in 2017. The CMS said about 85% of consumers are receiving a tax credit. The average tax credit covers about 86% of an enrollee's total premium. Before accounting for tax credits, the average premium across all consumers is $621, up 30.5% from $476 in 2017. The majority—63%—of consumers selected silver plans, while 29% selected bronze plans and 7% chose gold. Others bought catastrophic or platinum plans. Metal tiers represent the actuarial value, or the average share of health costs covered, by the plan. Gold and platinum tiers pay for a larger share of the patient's health costs. Many experts had predicted that ACA exchange enrollment would decline in 2018 because of a series of actions by the Trump administration that made it more difficult for consumers to enroll in coverage. For one, the open enrollment period was shortened to 45 days from the previous 90 days. Funds for marketing and outreach, as well as for navigators who help consumers enroll in a health plan, were sharply reduced. Many consumers were confused about whether the Trump administration would continue to enforce the individual mandate, which requires most people to obtain health insurance or pay a penalty. That penalty has been zeroed out starting in 2019. Moreover, insurers hiked premiums in 2018 in large part due to uncertainty around whether or not the Trump administration would make cost-sharing reduction payments that help lower enrollees' out-of-pocket insurance costs. The administration quit paying those CSRs in the fourth quarter of 2017. The CMS said 70% of exchange enrollees reported household incomes between 100% and 250% of the federal poverty level, meaning they would be eligible for a CSR.